The growth of IJM’s Industry Division is a direct result of the Group’s success in the construction industry. From providing in-house support for IJM projects, the Division has upscaled its operations to focus on demand from outside the Group and around the world. Our Industry Division, led by Industrial Concrete Products Sdn Bhd (ICP), is the largest manufacturer of High Performance Pretensioned Spun High Strength Concrete Piles (ICP Piles) in South East Asia. The company maintains its market leadership through extensive R&D to improve the quality of its products and services and a concerted export strategy. All ICP factories are MS ISO 9001:2008 certified. ICP Piles are exported to many markets including the USA, Canada, the Middle East, Singapore, Maldives, Myanmar, and Vietnam. ICP Piles are also supplied to many projects in Southern China from our plant in Jiangmen, China. With its long and credible history in Malaysia, ICP Piles have become the preferred choice of customers as foundation piles for power stations, high-rise buildings, civil engineering works, bridges and marine structures. The piles are widely used in local and overseas construction industry across the world. One of the largest operators in Malaysia, IJM’s quarrying business is managed by Malaysian Rock Products Sdn Bhd (MRP). In operations since 1962, MRP’s annual capacity exceeds 7 million metric tons of granite and industrial-use stones. With 9 quarries strategically located across Malaysia, MRP has the distinction of being the first quarry operator in Malaysia to be awarded the ISO 9002 certificate for quality management. One of MRP’s most notable projects is its involvement in the supply of armour rocks to Kuantan Port's RM4 billion New Deep Water Terminal expansion. We are a key supplier to the construction industry for essential materials. Our other main business activities also include ready-mixed concrete, PC bars and scaffolding. 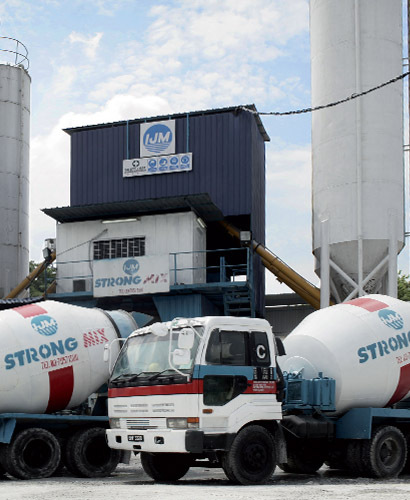 Strong Mixed Concrete Sdn Bhd is a niche player in the highly competitive ready-mixed concrete business. 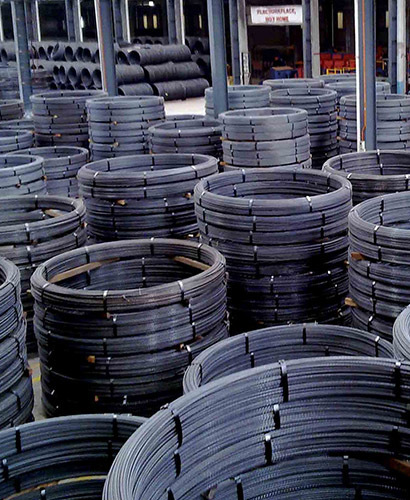 Over the years, the company has built a reputation for quality, reliability and the timely delivery of its products – having supplied to high profile mega projects throughout Malaysia. IJM’s involvement in the production of PC Bars is through Durabon Sdn Bhd. The company is the leading manufacturer of “Ubon” prestressing steel bars which are widely used in the manufacturing of pretensioned spun concrete piles for civil structural and building foundations. IJM is also the leading supplier of scaffolding rentals through its subsidiary, Scaffold Master Sdn Bhd. 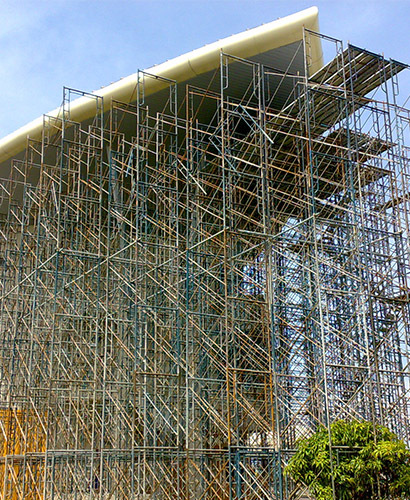 It offers both conventional and modular system scaffolding, as well as safety accessories. Scaffold Master’s scaffolding systems are used in the construction of bridges infrastructure works, high-rise buildings, and shipyards. Initially supporting in-house needs, IJM's Industry Division quickly grew its operations into scalable core activities focused on catering to demand from outside the Group. IJM continued to expand on its operations in this division with strategic acquisitions such as the takeover of Industrial Concrete Products Berhad in 2004 and successful market diversifications into China, India and Pakistan.